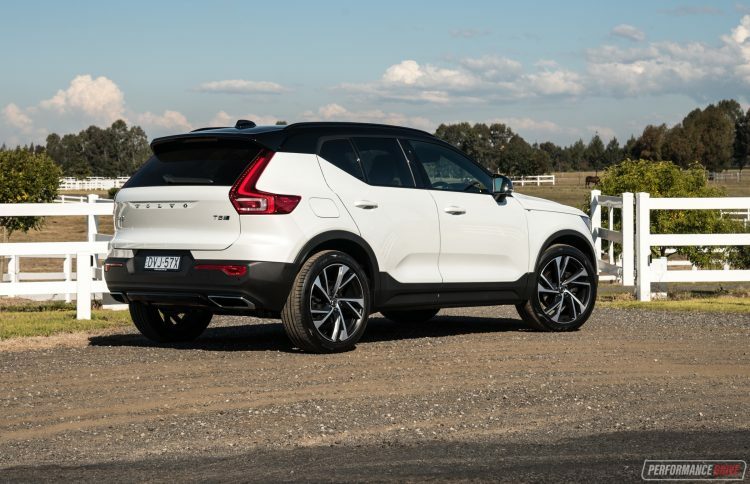 Finally, the new Volvo XC40 has hit Aussie shores. But, it joins an already flourished small SUV market. 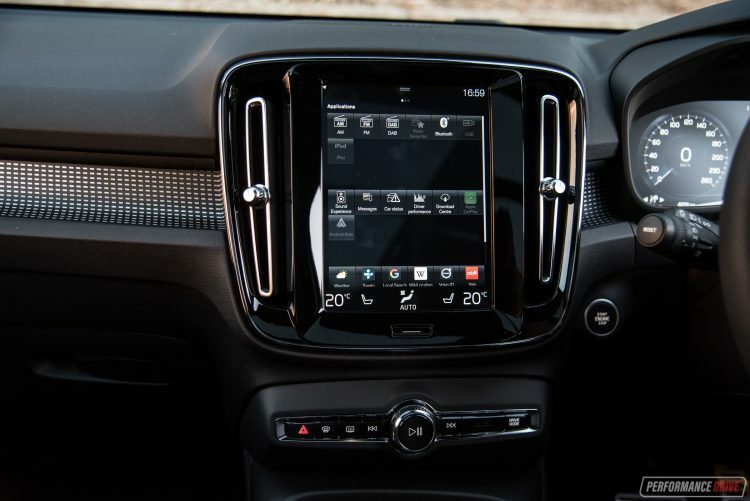 To mark the occasion Volvo Australia is offering special ‘Launch Editions’ that come jam-packed with the latest gadgetry and safety features. 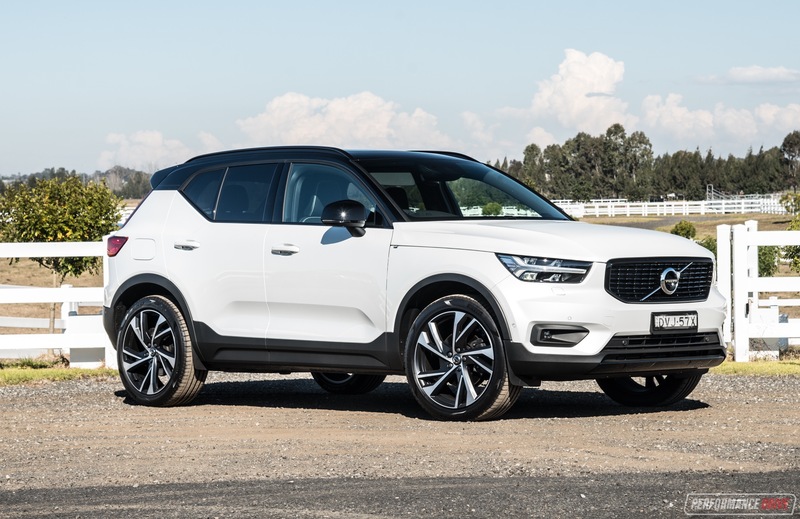 And this is on top of the existing wow-factor already presented with the XC40. Maybe the adage “better late than never” rings true in this case. 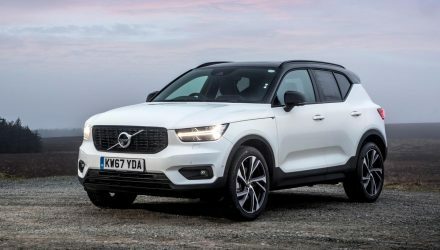 Volvo expects big things from its new small SUV; it predicts the XC40 to be the Swedish car maker’s biggest seller. And at first glance, we think it will be. It goes up against the likes of the Audi Q3, Jaguar E-Pace, BMW X1, and Volkswagen Tiguan. 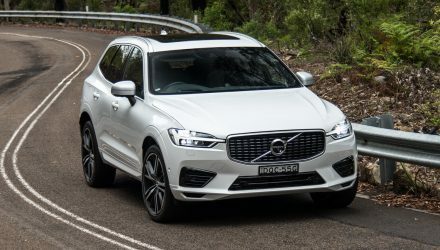 There are two high-output engines on offer for us Down Under; a 2.0-litre turbo-petrol four-cylinder that produces a face-slapping 185kW of power and 350Nm of torque (testing here); and a proven 2.0-litre turbo-diesel four-cylinder as seen in other Volvo models, which produces 140kW and 400Nm. Both come with all-wheel drive and an eight-speed automatic transmission. There are also two trim levels available; the Momentum and the sporty R-Design. Both engines are offered in each trim. The limited Launch Edition is also offered in all configurations, as outlined below. Here, we are road testing the T5 R-Design Launch Edition, which retails from $56,740 (excluding on-road costs). 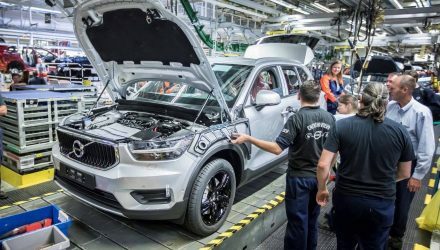 The XC40 is the first model from Volvo’s Belgian factories to use the new CMA (Compact Modular Architecture) platform. The new platform is claimed to provide more flexibility from model to model, and more cabin space for passengers – and it offers exactly that. We were exceedingly surprised to find the interior space is substantial and incredibly airy for its segment. 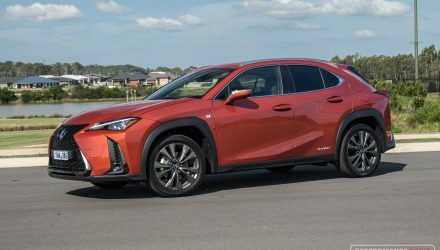 Bigger than the Jaguar E-Pace and the BMW X1 – it could even be considered a mid-sizer to some. 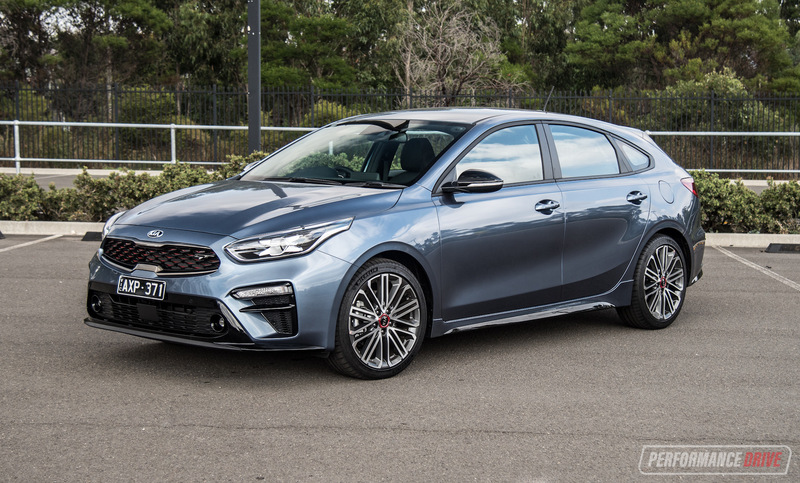 The new platform also allows for a completely new four-wheel-drive-shape design rather than just a raised hatchback like the V40 Cross Country. And it looks outstanding. There are some famous Volvo traits carried over, like the Thor’s hammer headlights, and the taillights that trail up the rear pillars. But most part, contours and shapes are fresh from the modern world of Scandinavia. The front sports a large black grille and a bonnet that protrudes forward to exert an aggressive and sporty look. The doors exhibit a clean sheet metal look with dimples to make the body look lighter. 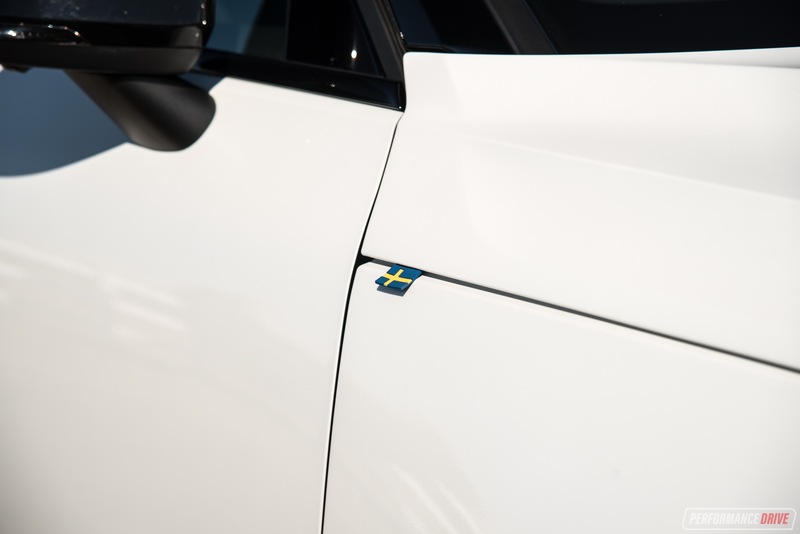 If you’re lucky in your model selection, there is a neat Swedish flag rubber tag above the wheel arch, strutting any patriotic side you might have. Like our example model, you can opt for some fresh colour combinations with a contrast roof if you want to show off some character. 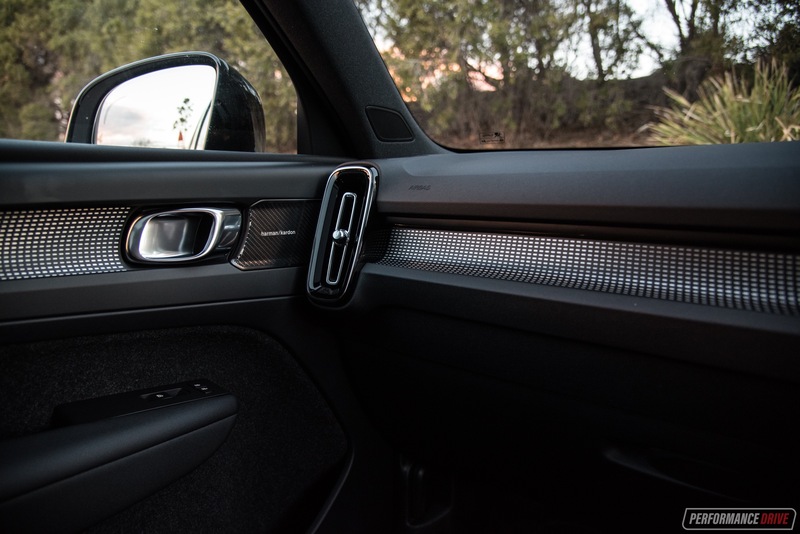 On the inside, the interior continues with the freshest design cues on the market today in our opinion. Everything is clean and non-intrusive to your space. Surfaces feel high in quality, and some are made from recycled materials to make you feel like you’re doing your bit for the world. 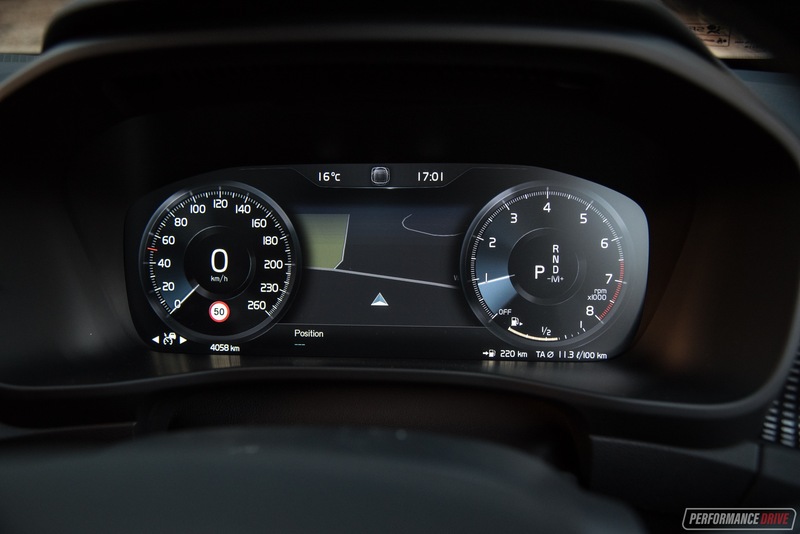 We especially love the long chrome air vents, the ambient lighting at night that reflects onto the classy door finishes, and the high clarity from the digital instrument cluster – it is notably clean, and easy to grasp, as far as these new digital setups go. 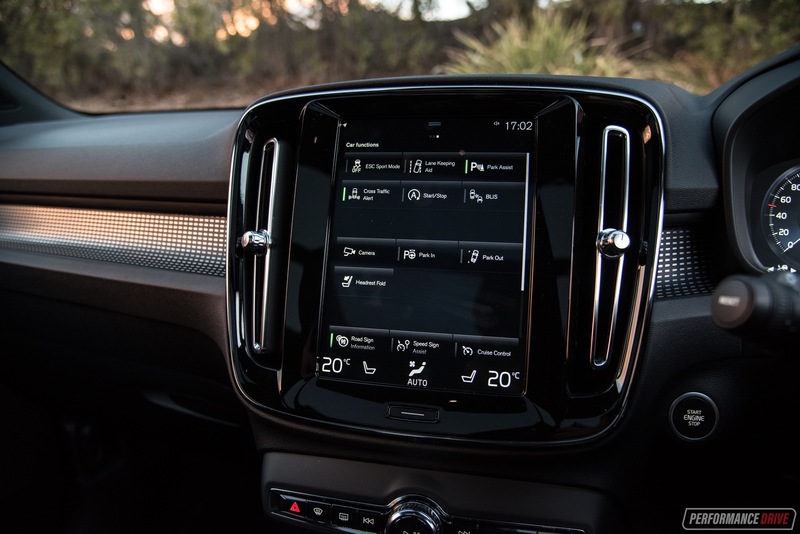 Groundbreaking is one word to describe the use of interior space in the XC40. There are huge door pockets to throw your belongings into, a wireless phone charging pad, a handy removable bin in the centre console, and more generous holes to store items. You can opt to have red door inserts, which sound brash, but they contrast well with the rest of the dark interior décor. Passenger room in the front is plentiful. 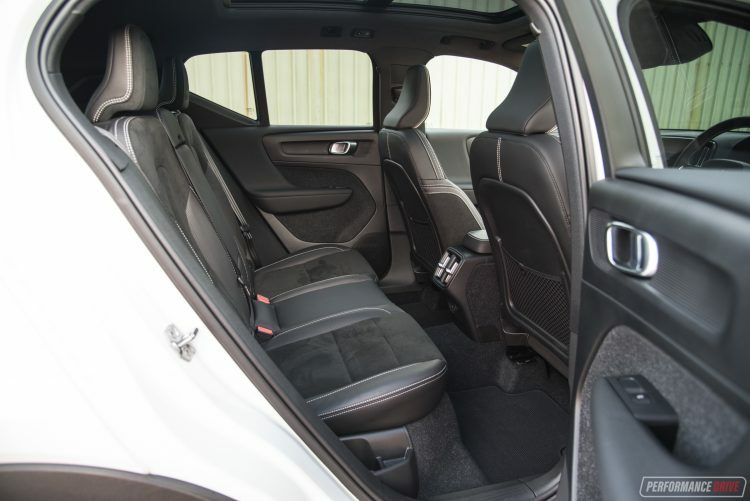 The dash does not implode into the cabin space like other cars in this segment, and there’s an abundance of adjustments you can make from the famously supportive Scandic seats. 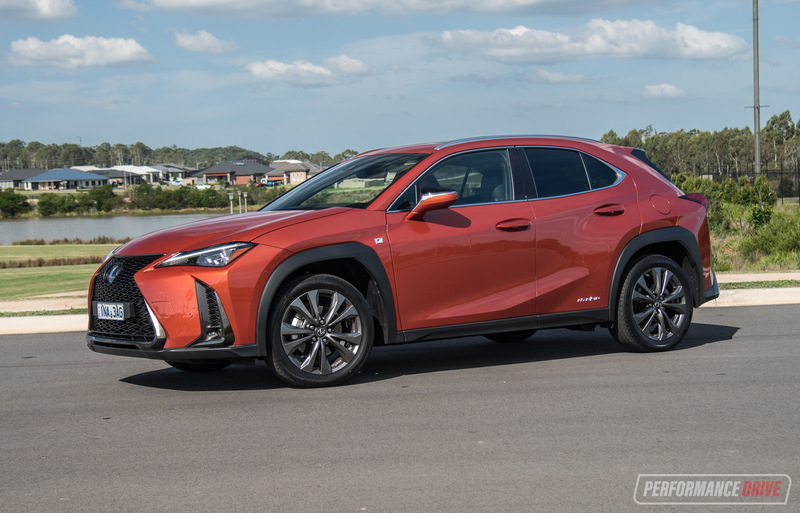 In the rear, it’s much the same story, where your knees will unlikely hit the back of the front seats, and you’ll find plenty of headroom for a so-called small SUV. 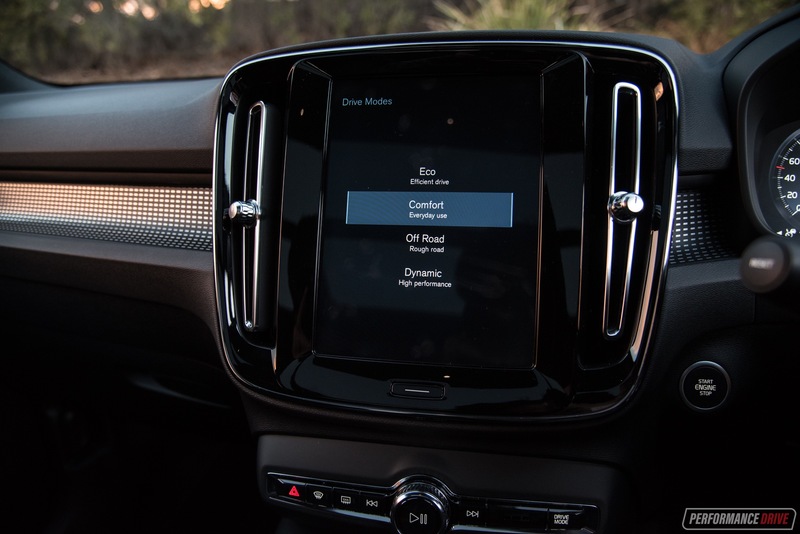 Rear passengers also get a USB C-type charger, which is very future-proofing of Volvo to include. At the very rear the boot will also make any organisation freak proud. The floor folds up half way along to reveal handy and strong hooks to hang your shopping bags onto. There’s plenty of room back there, too. 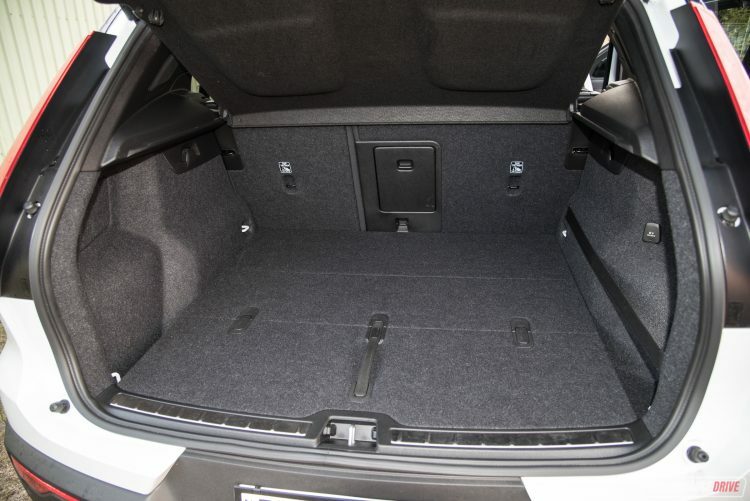 Officially measuring in at 460 litres or 1336 litres with the rear seats folded down, this makes it 24L smaller than the more expensive Jaguar E-Pace. 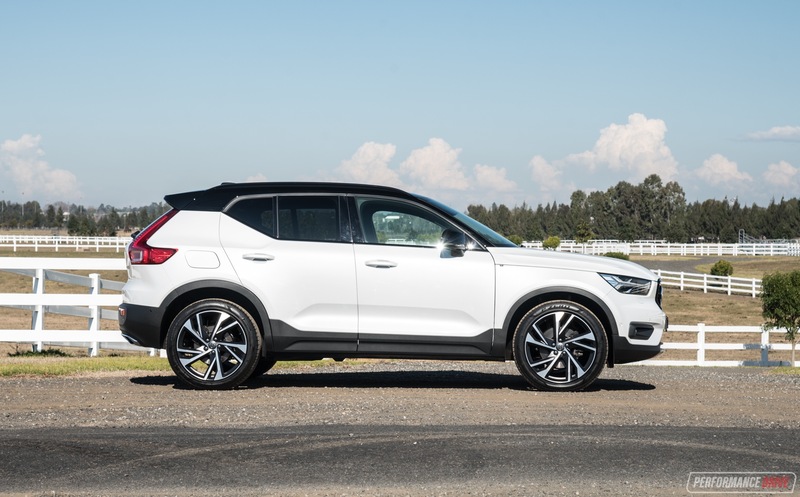 But the usable space is greater in the XC40, as the E-Pace’s sloping rear impedes. 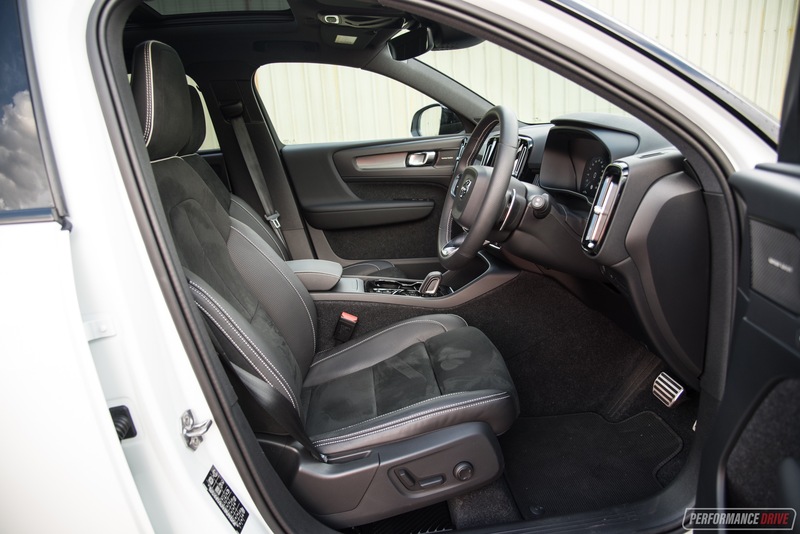 It is also bigger than the popular Mazda CX-5’s 442L, which is classed as a medium-size SUV. Our model was fitted with a practical electronic button that folds the rear seats down from the boot, which saves you having to go and reach for a manual adjustment from the back seats. Get in quick for the Launch Editions, because they offer a vast array of features at a discounted rate. In the T5 R-Design Launch Edition, you score 20-inch alloy wheels, an air-conditioning odour reducing charcoal filter and sensor for pollutants, 360-degree cameras, blind-spot sensors, rear cross-traffic alert, road sign display, lane departure warning with lane keeping aid input, forward, reverse and pedestrian collision mitigation, customisable driving modes, front row electric seats, electric tailgate, automated parking, electric sunroof, and one of the best premium sound systems we’ve heard in a production vehicle. That sound system, by Harman Kardon, is made up of 13 speakers and a new patented ‘air-woofer’. It allows the speakers to be moved from the front doors to the dash and still provide optimum bass and sound quality. It is controlled by a highly responsive infotainment touch-screen, which is huge. It is positioned in a portrait orientation and is extremely customisable – just get used to the myriad of options before you drive. The swiping also works a treat, and is super-reactive to the touch. 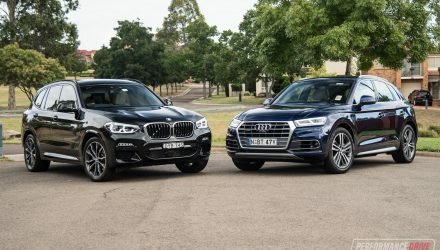 Among all the engines on offer in other countries, Australia gets the most powerful two. 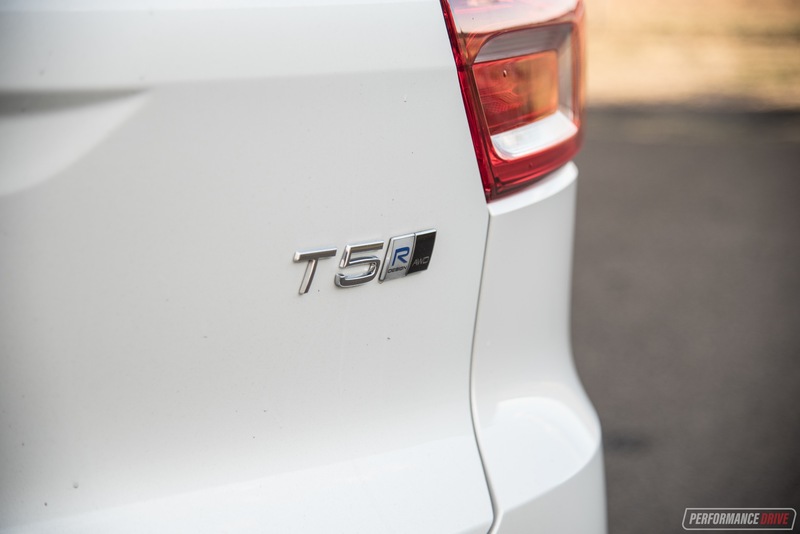 The T5 gives you higher performance outputs compared with some alternatives. At 185kW and 350Nm, there’s more than enough oomph to keep ahead of city traffic or to stretch out on longer trips in the country. Official figures rate 0-100km/h acceleration at an impressive 6.4 seconds. 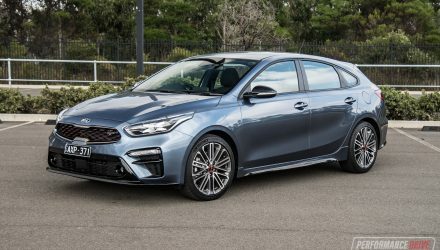 This is on par with the heavier Jaguar E-Pace’s fastest P300, which produces 221kW. Our testing revealed a slightly slower 6.88 seconds. The engine is matched to a relatively new eight-speed auto, which we find slightly disorganised under certain levels of throttle. It is evidently programmed with economy in mind, because it seems to default to higher ratios. You do get used to it. 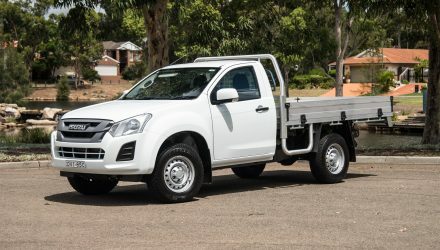 Just like you will need to get used to the double tap required to change gears with the selector – surely, they could have eliminated the need for this? 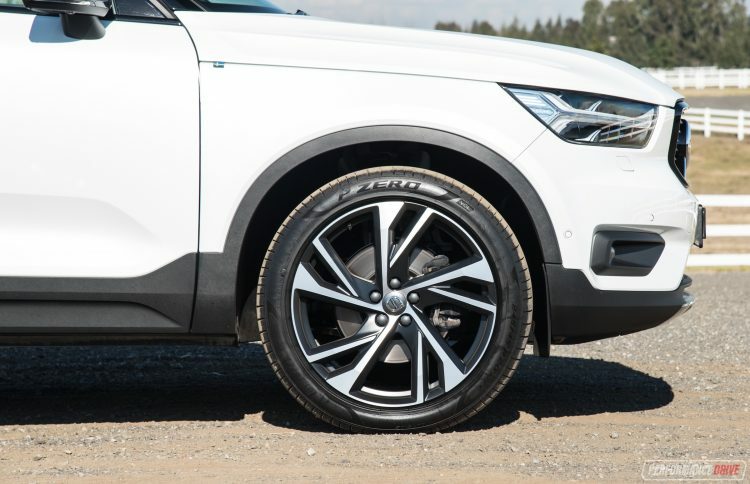 In the way of driving dynamics, the XC40 is very stable and refined, even over bumps. It undertakes corners with minimal body roll and an appropriate amount of feedback is returned to the driver. Steering is slightly lighter than most, which is helpful in tight carparks and tends to make it feel playful out in the mountains. 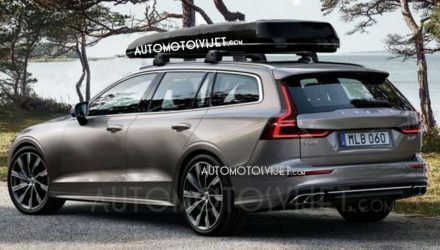 Road noise and vibration levels are up there with the best – Volvo has obviously worked hard to improve this area over previous models. 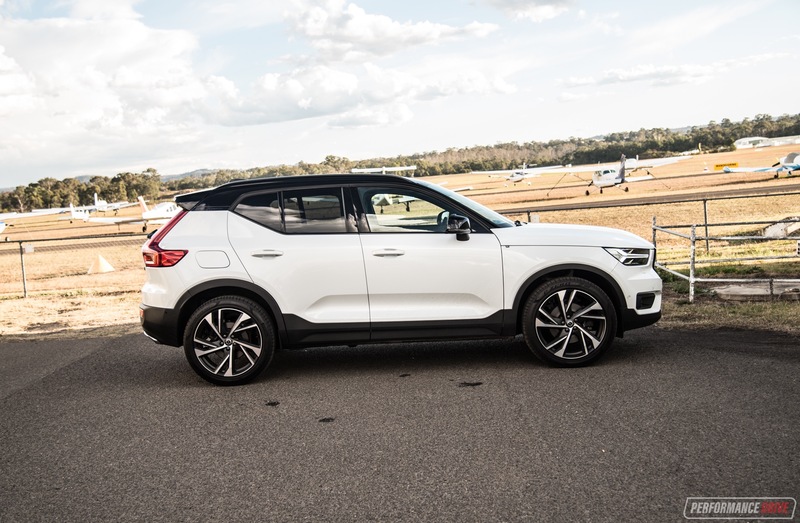 Featuring all-wheel drive, the XC40 has the capability to take you into some adventurous countryside. 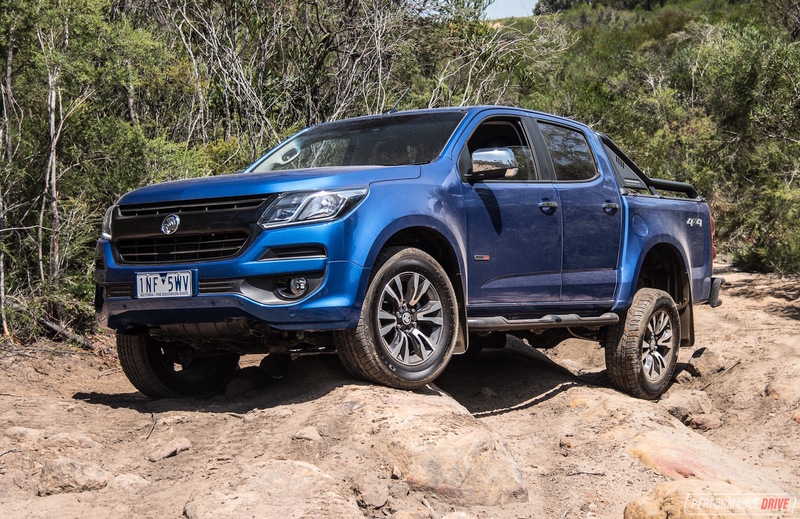 There’s an off-road driving mode, too, so the drivetrain’s brains can best manage available traction. 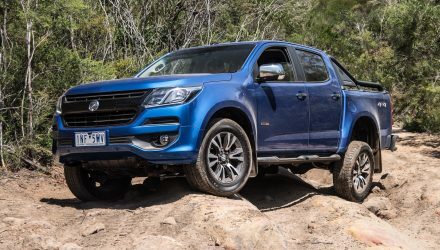 But with those beautiful 20-inch alloys and low-profile Pirellis, you won’t want to exploit the off-road potential too much. 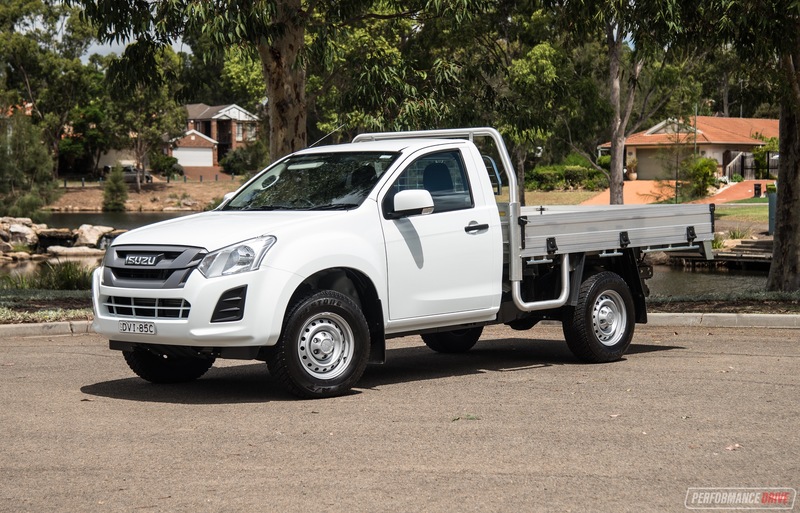 During our harsher testing we achieved an average fuel consumption of 8.8L/100km on the minimum required 95 RON petrol, which isn’t too distant to its official rating of 7.7L/100km. Those engine outputs do justify this to some degree. And there’s that more frugal diesel engine available if you want to go down that path. 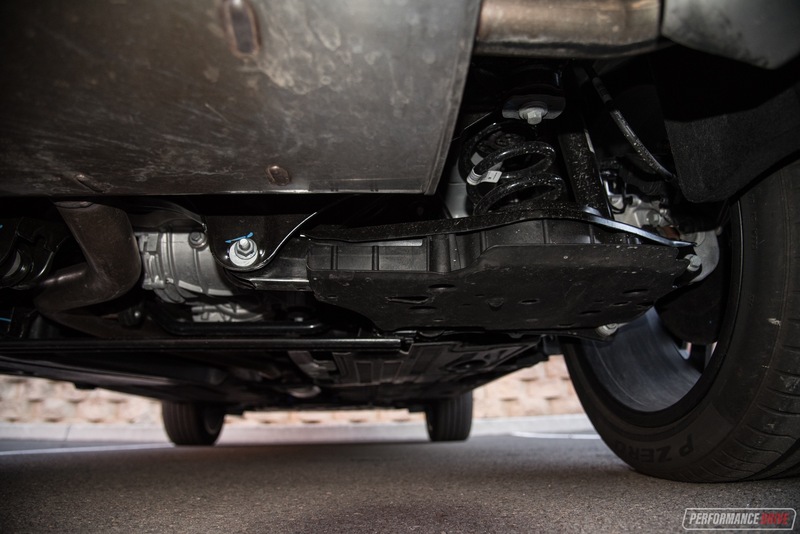 Unfortunately, the XC40 is fitted with a small fuel tank. At 54 litres, you’ll struggle to travel 550km before needing to refuel. Volvo, as a brand, isn’t the greatest for distribution and after-sales service. 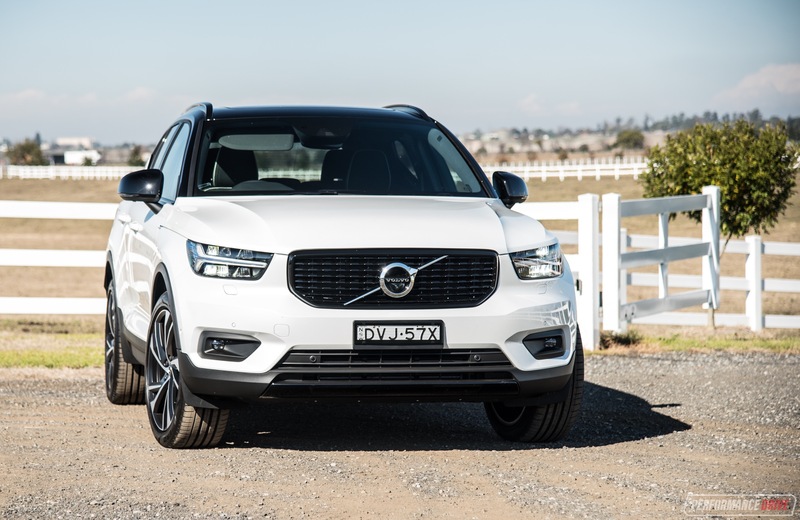 It could be a deal breaker for many that you’ll find very few Volvo dealerships outside capital cities. For example, there are none outside Melbourne in Victoria, and only two outside Sydney in New South Wales. Servicing is required every 15,000km or 12 months, and Volvo offers a three year/unlimited kilometre warranty. 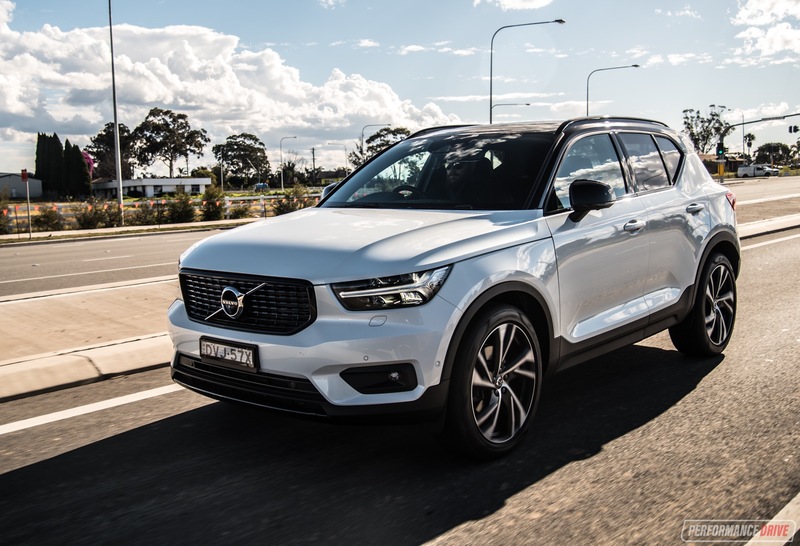 There’s so much to fall in love with in the new XC40. It is a choice in a crowded market that leads on innovation, space and practicality, and design. 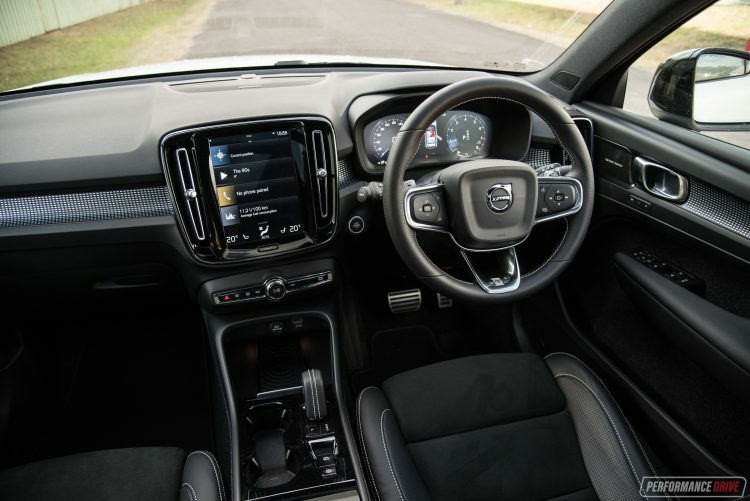 We love the modern looks and premium feel of the interior and exterior, the amount of tech that comes as standard, and the high-quality infotainment system. 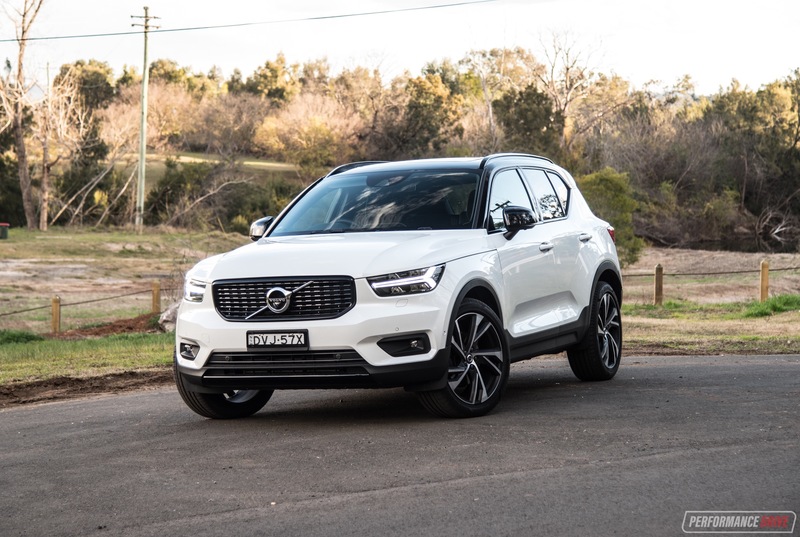 If Volvo was a more accessible brand, the XC40 could be the closest SUV to perfection in this class.